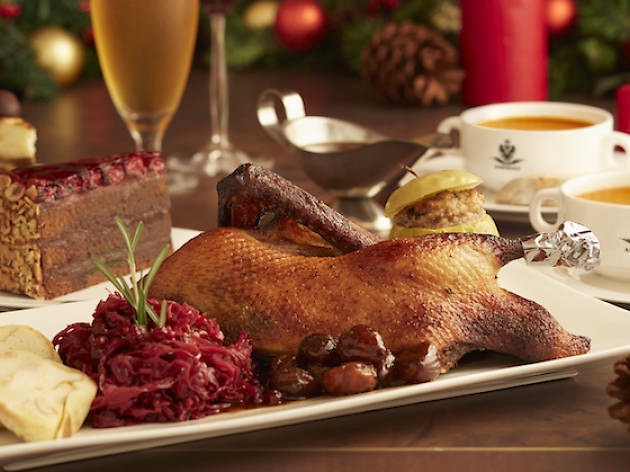 Kaiserhaus' executive chef Hans Luftenegger draws inspiration from his Central European heritage to mint three-course menus ($88/two) and create take-home treats for the holidays. 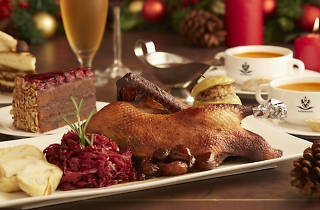 On the menu is a bowl of the soup du jour, roast half duck with all the trimmings, and desserts like raspberry truffle cake, Kaisertorte and Sachertorte. A range of baked goods is also available to order online for pick-ups at the restaurant. Pick from creations like Christmas cookies ($12/180g), Austrian Christstollen fruitcakes ($15/500g) and Malakofftorte ($58).